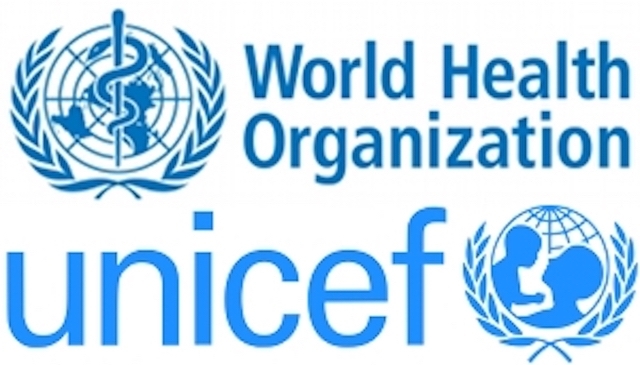 With 32.8 per cent of early initiation of breastfeeding, Nigeria ranks 66th in the world as at 2016, a new report from the United Nations Children Fund(UNICEF) tagged, Capture the Moment, which analyses data from 76 countries. The report which was co-authored by the World Health Organisation(WHO) stressed that breastfeeding within an hour after birth is critical for saving newborn lives. However, it regretted, “An estimated 78 million babies -or three in five – are not breastfed within the first hour of life, putting them at higher risk of death and disease and making them less likely to continue breastfeeding. “Most of these babies are born in low- and middle-income countries,” the report added. It further noted that newborns who breastfeed in the first hour of life are significantly more likely to survive. Even a delay of a few hours after birth could pose life-threatening consequences. “When it comes to the start of breastfeeding, timing is everything. In many countries, it can even be a matter of life or death,” said Henrietta Fore, UNICEF Executive Director. Breastfeeding rates within the first hour after birth are highest in Eastern and Southern Africa (65 per cent) and lowest in East Asia and the Pacific (32 per cent), the report says. By contrast, only two in 10 babies born in Azerbaijan, Chad and Montenegro do so. Similarly, Nigeria which recorded 29.9 per cent in early initiation of breastfeeding from a baseline estimate for trend in 2007, witnessed only marginal increase to 32.8 per cent of early initiation in 2016. “Breastfeeding gives children the best possible start in life,” observed Dr Tedros Adhanom Ghebreyesus, WHO Director-General. The rise in elective C-sections: In Egypt, caesarean section rates more than doubled between 2005 and 2014, increasing from 20 per cent to 52 per cent. During the same period, rates of early initiation of breastfeeding decreased from 40 per cent to 27 per cent. A study across 51 countries notes that early initiation rates are significantly lower among newborns delivered by caesarean section. In Egypt, only 19 per cent of babies born by C-section were breastfed in the first hour after birth, compared to 39 per cent of babies born by natural delivery. Gaps in the quality of care provided to mothers and newborns: The presence of a skilled birth attendant does not seem to affect rates of early breastfeeding, according to the report. Across 58 countries between 2005 and 2017, deliveries at health institutions grew by 18 percentage points, while early initiation rates increased by six percentage points. In many cases, babies are separated from their mothers immediately after birth and guidance from health workers is limited. In Serbia, the rates increased by 43 percentage points from 2010 to 2014 due to efforts to improve the care mothers received at birth. Earlier studies, cited in the report, show that newborns who began breastfeeding between two and 23 hours after birth had a 33 per cent greater risk of dying compared with those who began breastfeeding within one hour of birth. Among newborns who started breastfeeding a day or more after birth, the risk was more than twice as high. The report urged governments, donors and other decision-makers to adopt strong legal measures to restrict the marketing of infant formula and other breastmilk substitutes.